Ask any player that is serious about the game of golf what the most important club in their bag is, and the answer will of course be the putter. In doing the research for this very article, we got a great quote from a famous tour player. “The putter is the soul of the golf bag. It has to look right, feel right, and execute perfectly.” With this particular brand, we could probably stop the article right here and show off the pictures, but to understand Machine Putters, you must understand where the company came from and how they have become known as “The Purist’s Putter”. Back in 1994 Dave Billings had a vision to create a unique brand that would benefit golfers of every skill level. 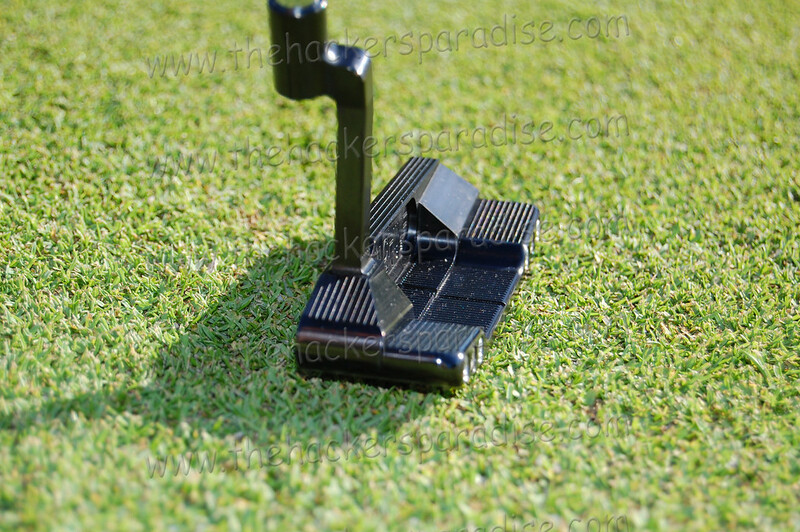 That early vision led to the launch of the HOG putter line in 1995. “The HOG line of putters, our first brand and product segment, were introduced to the public at the PGA Merchandise show in 1995.” The HOG Putter had huge buzz, with its industry first and industry leading highest MOI for head, and the putter as a whole, as well as the most stable, and lowest torque shaft in golf. The initial putters featured a massive, 1.0â€ non-tapered shaft, and were used on the Nike (Nationwide) TOUR and sold all over the world. Additional products with .750 steel, .625 Steel in tapered and stepped patterns, and a wide variety of head styles, modular hosels and other innovations were offered. The HOG line of putters was so popular that they are still used today all over the world including the professional golf tours. Over 150 professionals have used Dave Billingsâ€™ innovative designs on the major tours, achieving 11 wins to date. 10 Hall of Fame golfers have used HOG putters, in official events including the Masters by one of the greatest and most popular golfers of all time. 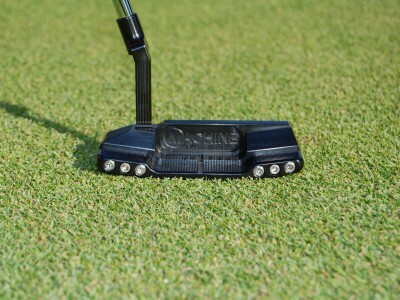 21 tour players in all have put a Dave Billings putter in play over the last 2 golf seasons. “In 2001, the company went in a different direction. The HOG line was still doing okay, but we were extremely busy with our R&D projects.” Over the years, the company has provided R&D contract and consulting services for clients large and small. Importantly, R&D is a very serious endeavor, and an ongoing process in multiple categories. Billings holds eight U.S. and international patents for his innovations, with numerous new patents pending. This would eventually lead to the birth of Machine. The Hackers Paradise had the opportunity to spend some time talking to Dave Billings, Founder and CEO of Dogleg Right. THP – When did the Machine Line start? DB – The line started in 2003 and we have been working at it since then. 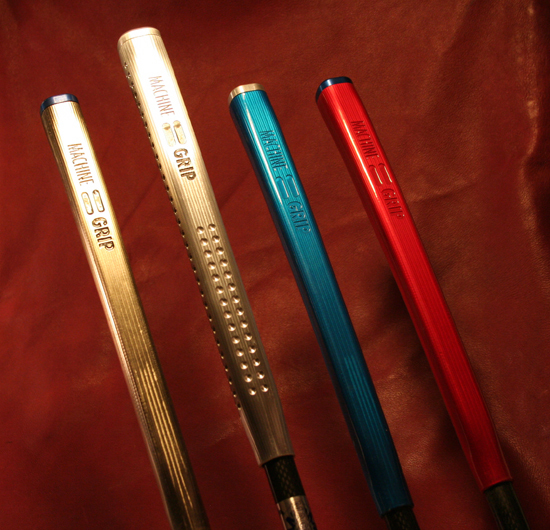 In 2004 we gave everybody a sneak preview of both the Machine grips and the fully customizable putters. THP – Was customization the key at the time? DB – The putters were developed with the goal of providing the very ultimate in precision CNC milling, advanced design, and the most creative and beneficial options for customization and personalization in the industry. 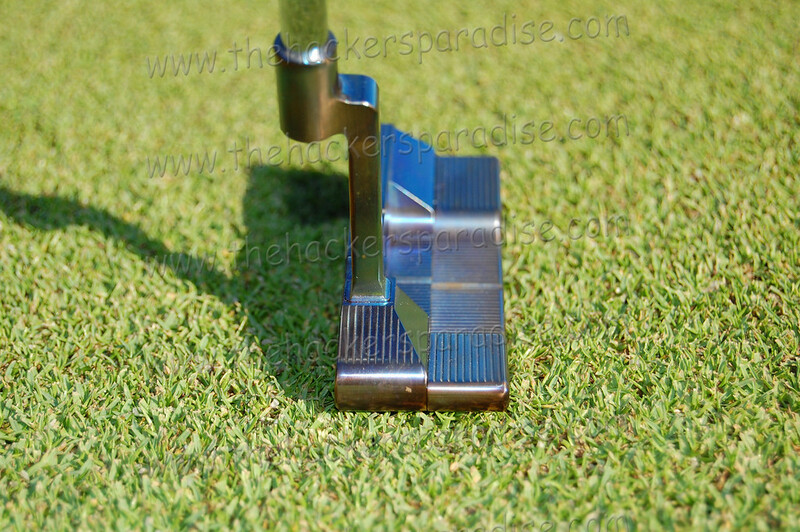 THP – Explain why customization is so important with putters? DB – Itâ€™s a common thing that a golfer gets a new piece of equipment and at the beginning, everything is working with it. In the case of the putter, the player makes everything in site. THP – We call that the “honeymoon period”. 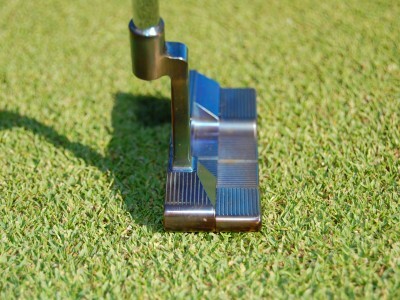 DB – However, the golferâ€™s honeymoon period usually does not last, and so they switch back to an older putter or else buys a new putter in the hopes of gaining that momentum again. Through our testing, I began to realize the reason for this common problem. Golfers simply focus and concentrate better with a new and different look. THP – Can that be fixed? DB – By making a putter that can be changed by the golfer, but still work for the golfer, you can solve that problem. Now, golfers who select our Convertible or Transformer models can get a new look any time they want. At the same time they do not lose any of the performance or feel that they had with the Machine putters to begin with. THP – The grip seems to get a lot of questions, can you tell the readers about it? 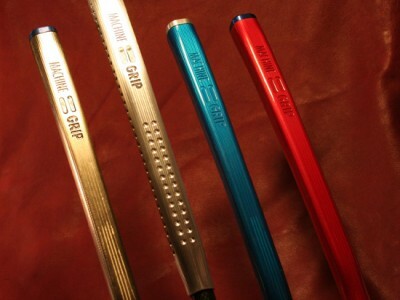 DB – The Machine Grip is the 1st ever CNC-milled golf grip. It represents quantum leaps in manufacturing precision, assembly precision, quality, feel and customization. People spend all this time working with precision in the golf head and many forget the grip is as important. THP – What are the likes and dislikes of the Machine Grip? DB – When golfers start using it for the first time they notice a feel that is different than anything else out there. 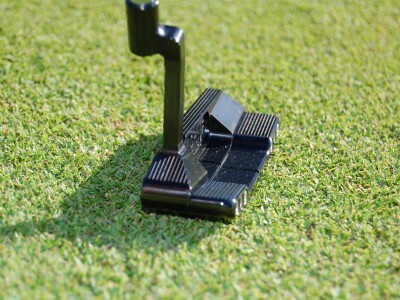 More feedback than ever is given to the golfer and in turn will help them with their putting. The only drawback we have seen is that on very cold days, the grip itself can get rather cold to the touch. 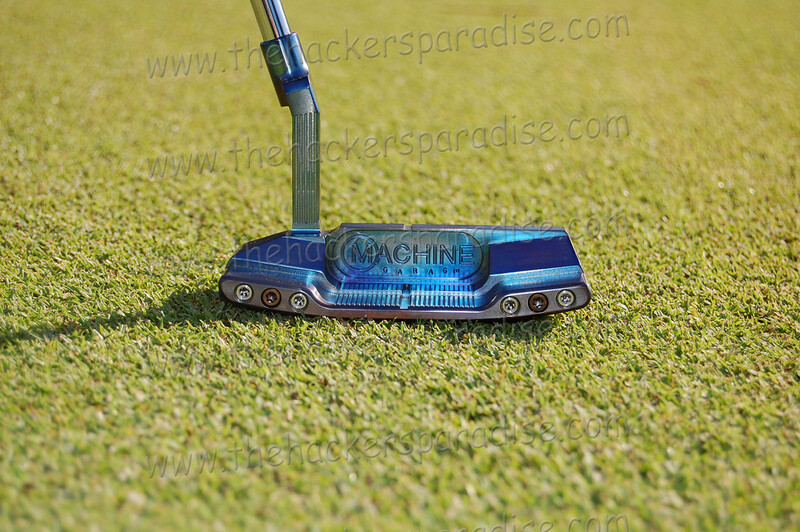 THP – Are the Machine Putters collectible or gaming putters? DB – Its flattering that people call our line collectible. We build them to help people play the game of golf. So in that case they are both, and we are proud that they are both. We do have different lines of putters such as the Garage Series or the Art Series that are extremely rare. 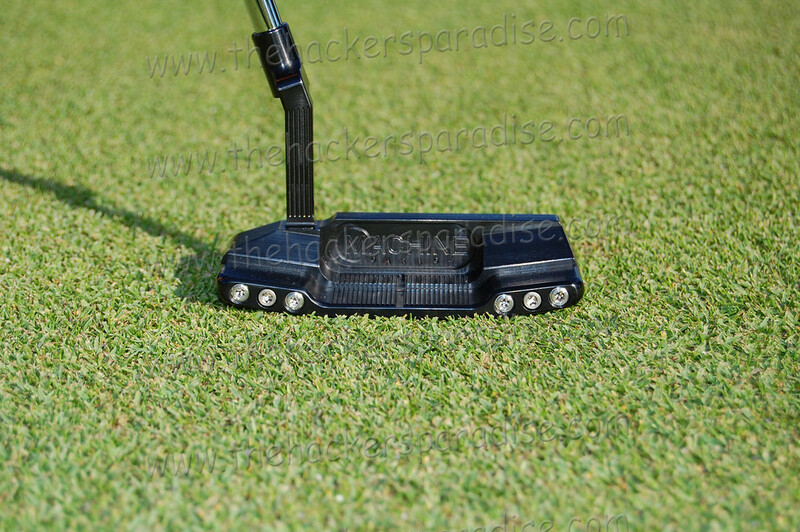 THP – What is in the upcoming future for Dogleg Right and more specifically Machine Putters? DB – We are working with a lot of patent work and will continue to do that as well as our R&D side of the business keeps us very busy. Club adjustability is huge for us and we think we can take that to the next level in the Machine line of putters. We have also been getting some interest in bringing the HOG line back, so, you never know. With the Machine Grip, we have a new design coming out soon that you are definitely going to want to check out. We are also doing a lot of work to get the Machine Line and fitting carts into some of the better retailers such as Edwin Watts so golfers in many areas can get fitted locally to them. During the course of these articles, we like to get opinions from people in the golf industry about a certain product. Normally we use those as research but in the case of this particular profile, we had to share it with the readers. We let two people try out the putters for a little while and both of them had some great input. However each has to remain nameless because they work for different equipment companies. 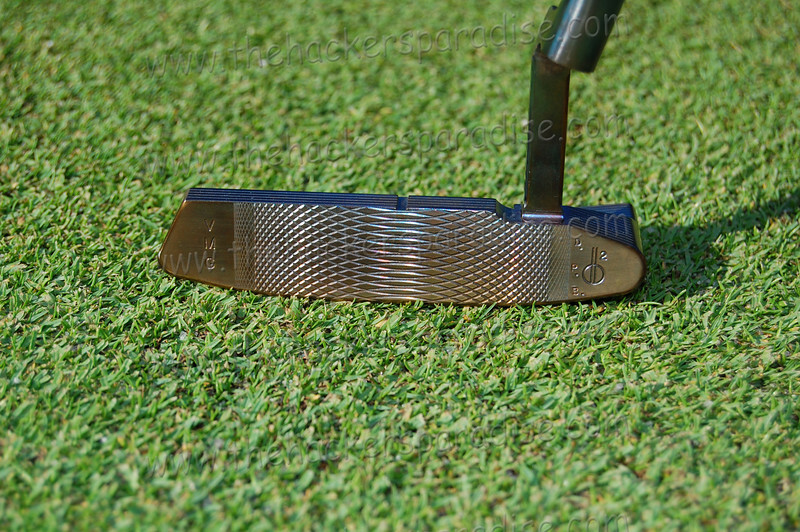 The images you are seeing in this article are from the MACHINE GARAGE Putters line. These have been finished by Dave Billings himself in his garage. From special grinds, melted edges, select hand hammered peening, special finishes, including hand rubbed satin, hand blued, and hand flamed Rainbow, to special â€œsignatureâ€ stamps, to hand bent hosels. The options are truly endless and have that extra special TLC involved with producing this line. Please make sure you click on each picture so that you can get an larger image and see all the details that go into these “works of art”. “The two Custom putters are our M2A Converter Models, each with Plumber neck hosels and FatBack flanges. The heads and hosels have our proprietary South Beach Cut internal milling, which allows the weight to be redistributed from the inside center of the head and flange, to the heel and toe and the deeper flange, increasing the MOI and forgiveness, as well as providing a longer sightline. The Garage stamps designate that I did the finish work myself on these in my Garage studio. 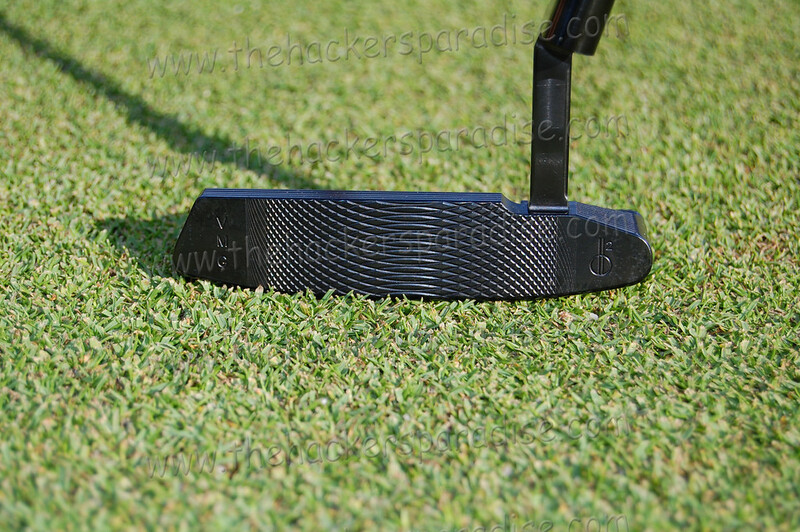 The darker blue black putter is milled from soft 1018 Carbon Steel, with our own hot salts Gunmetal Blue finish. The second, electric blue putter is milled from 303 stainless, and has a hand torched Rainbow Blue Flame finish (annealing the metal in the process). These putters were CNC milled, and then hand milled on the Bridgeport mill to add the unique pinstripe patterns, as a subtle aid to alignment. They are then hand polished, hand stamped and hand finished (by yours truly). As with almost all of my putters, I try to let the metal speak by itself, and use no paint fill, relying instead on the contrast between smooth and milled surfaces to distinguish the lines of the putter. This is not our first encounter with Machine and hopefully will not be our last. A few months back, The Hackers Paradise held its Huge Putter Shoot Out and invited just about every major putter company to participate. 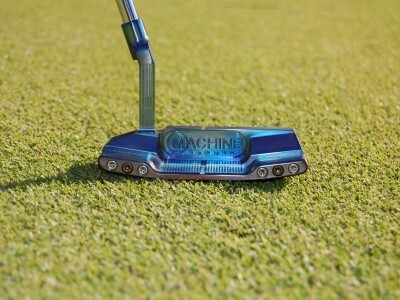 With over 20 putters in the field, Machine Putters took home the award for best looking putter by our testers. THP also got the opportunity to review the Machine M2A Converter model with the FatBack flange option shortly thereafter and came away with the same thoughts as the testers did during the shoot out. We hope you enjoyed hearing more about this great company and the person behind it. If you get a chance, definitely check out their website at www.doglegright.com. From there, you will see many more pictures and descriptions of the putters that they make and the options that are available. We also want to thank Dave Billings and Dogleg Right for taking the time out of their schedule for interviews and supplying us with some great putters to test out. Putter Week continues tomorrow with another great company that you need to know more about. I have always wanted a Machine Putter. I thoroughly enjoyed hearing about the history of the company. I had no idea that they did Hog putters as well. I still have one of those. These putters are like a piece of art, they are simply gorgeous. The Putter Shoot out was great but I think I am enjoying Putter Week even more. Great story about a truly under-the-radar, yet stellar company. I love my Machine putter and wish many more people had the pleasure of experiencing one first-hand… except for my weekly foursome of course. I like having the upperhand on the greens. Wow, those pictures are wicked. Love that black finish. History and putters and golf. Love it. Did not know this brand before this and now I have to find one. Plus it looks like they are in my neck of the woods in TX. Those grips are really intriguing to me. I love putters with feedback and to add even more would be very influential. On a hot or cold day I could imagine some issues though. htese are as nice as I have seen out there. I have enjoyed all the articles featured for your putter history lessons. But this one was the most enjoyable. So much information there and the grips alone were entertaining. I felt like after reading it that I had personally met the founder and was not just reading a review. Thank you. Great article JB! Those putters are gorgeous, and their grips are absolutely cool. Thanks. 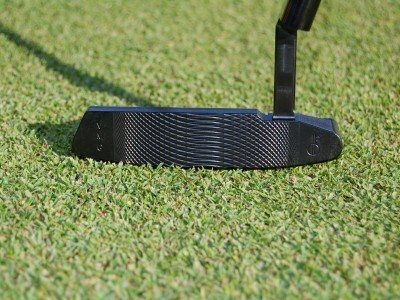 The nicest looking putter I have ever seen is a Machine. Love the copper machines because they have a shine that nobody else gets. I just learned on their site that I can send my putter to get the grip put on. Very cool. I really like the rainbow effect. They look pretty neat but I don’t know about the grips! I remember when the Hog came out too but never had the chance to try them. I’d like to check these out someday. 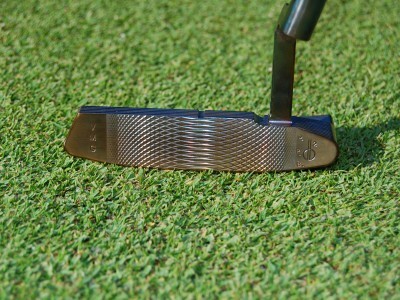 Nice article.Awesome putters.Puts the meaning back into handcrafted.The grips are intriqueing. I never guessed that, as a writer, I would call an article on putters insightful, but that word was one of the first that came to mind on this article- awesome read. Wow, those things are beautiful. I like the idea of being able to change it up also. Very nice. acil-CoA al tiempo que une la carnitina libre en el espacio intermembranario, originando acilcarnitina ; el CoA queda libre y puede salir al citosol para activar otro ácido graso.